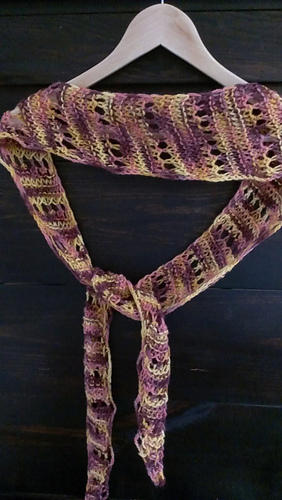 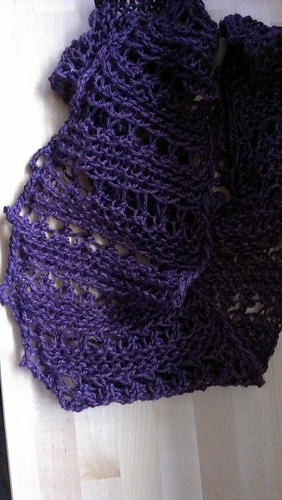 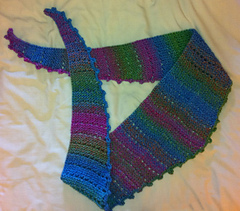 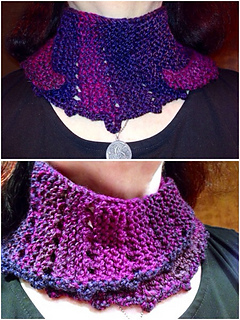 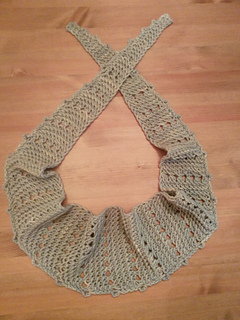 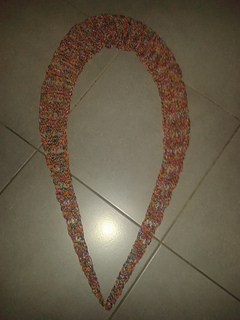 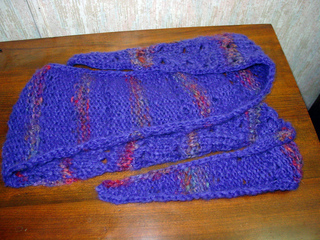 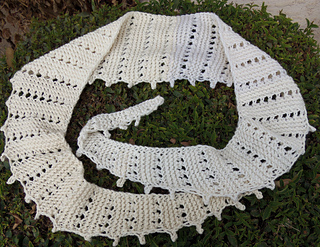 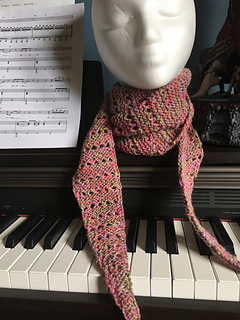 This little scarf is worn in many ways, as a collar, as a wrap, front, back or sideways. 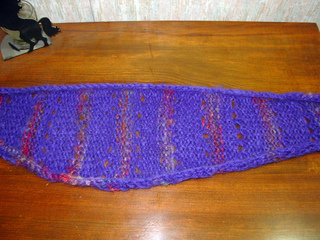 It is made from side to side on a 1/2 inch gauge knitting loom, such as the round purple Knifty Knitter, or the CinDwood 1/2 inch hat looms. 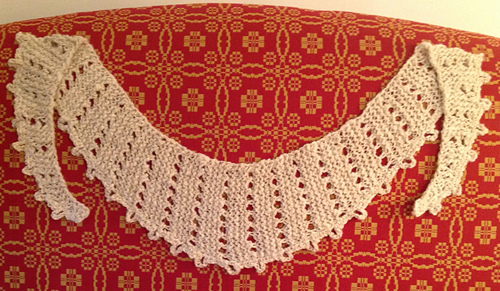 At least 20 pegs are required for the pattern. 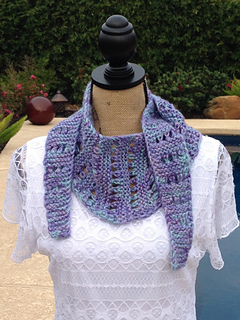 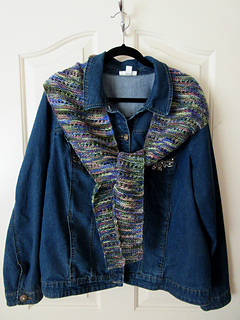 The pattern features a stitch called “Vertical Lace Stripes”. 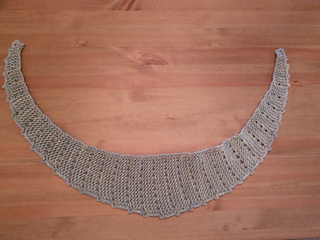 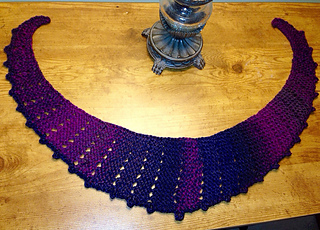 An alternate version may be made on a large gauge round or flat loom using 250 yards Worsted Weight wool yarn.